The new trailer for the animated film Ferdinand is here from 20th Century Fox. 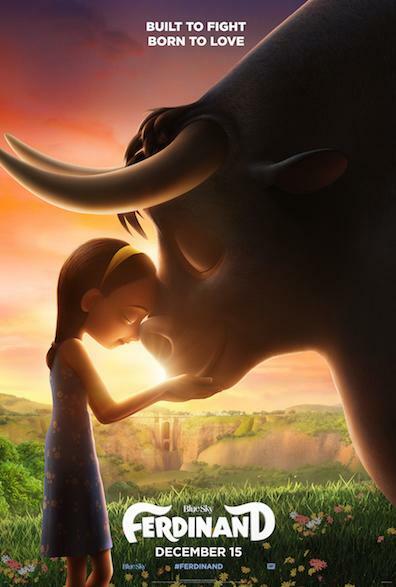 The film is based on the book The Story of Ferdinand by Munro Leaf and Robert Lawson, and tells the tale of a giant bull, trying to get back to his family. Ferdinand is set to release around Christmas time later this year, specifically December 15, 2017 with John Cena, Kate McKinnon, Gina Rodriguez, Bobby Cannavale, and more lending their voice talent to the film. More information is below, along with the trailer. The Trailer For ‘Ferdinand’ Starring John Cena Has Arrived!!!! This entry was posted on Wednesday, June 14th, 2017 at 9:31 am	and is filed under Film, News. You can follow any responses to this entry through the RSS 2.0 feed. You can skip to the end and leave a response. Pinging is currently not allowed. « Here’s the First Wave of Fantasia International Film Festival Offerings!! !